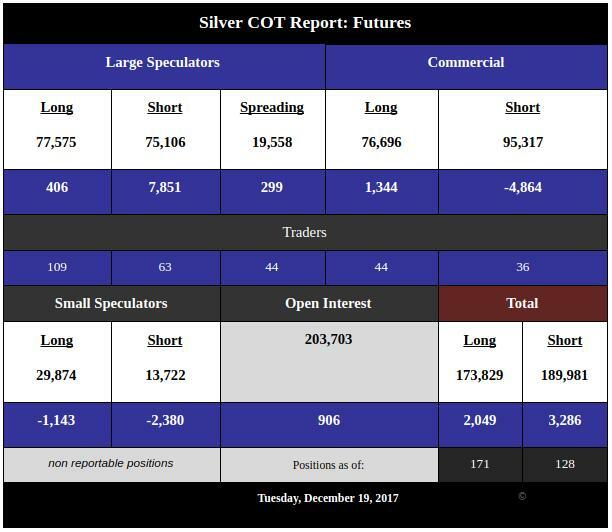 Commitment of Traders Report (the COT Report) on gold and silver futures trading is a weekly report released on a Friday for data at end of trading day the previous Tuesday by cftc.gov for trading positions, long & short, at COMEX (a subsidiary of CME Group). Within minutes of release other interested parties aggregate and publish the data. On that site you can click on the latest COT &/or older COTs. 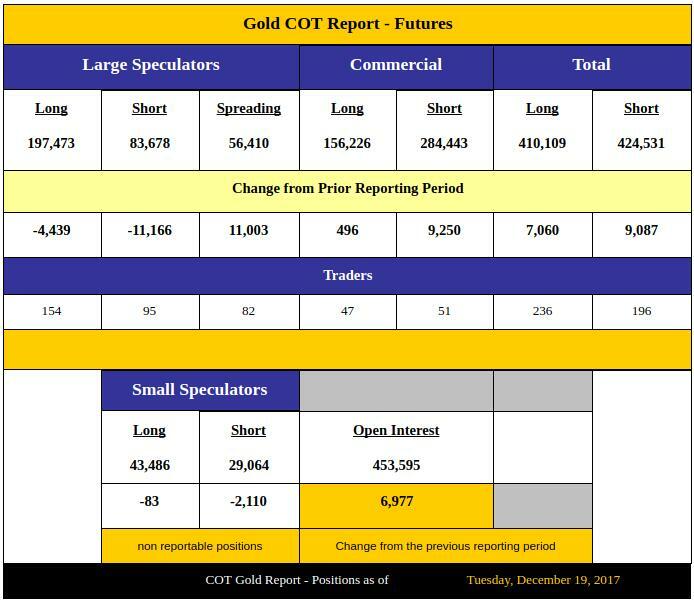 Here is the gold COT Report from 22 DEC 2017 (close of trading 19 DEC). In both COTs, three categories are tracked; Large Specs, Commercials & Small Specs. COT analysis ignores the Small Specs. In both COTs, almost always, the Lg Specs are net long and the Commercials are net short. The important factor is the ratio Lg Specs, Long to Short and Comml's, Short to Long. The Gold COT is very good and augers for higher prices in early 2018. These are near all-time low numbers. 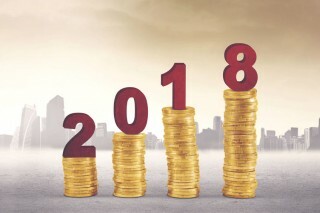 Silver is set for a rocket ride.